Evanston Lumber Company was founded in 1948 by Eli Fisher, the grandfather of current Owner and President, Bob Fisher. Despite industry changes the Evanston Lumber team has never lost sight of what is truly important to us - our customers! 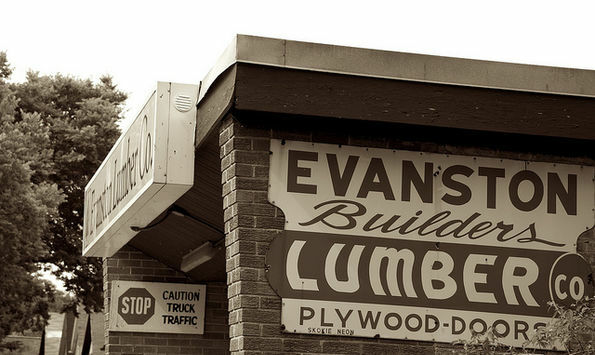 Evanston Lumber Company was founded in 1948 by Eli Fisher, the grandfather of current Owner and President, Bob Fisher. Despite industry changes the Evanston Lumber team has never lost sight of what is truly important to us – our customers. At Evanston Lumber our team of knowledgeable professionals is dedicated to providing exceptional value to our customers by supplying quality building products and outstanding service. We know that every project is unique and we pride ourselves on the wide selection of quality building materials that we carry including lumber, millwork, doors, windows, skylights, decking materials, treated, cedar and engineered lumber. We are very proud of our knowledgeable, professional and friendly associates. We continually provide them with product training so they will always be able to answer your toughest building material questions. We work hard to make your job easier! Evanston Lumber is a Multilingual company - English, Spanish and Polish. Next time you are considering a project, no matter what size, let the professionals at Evanston Lumber Company help you build better.